Macross Delta is set eight years into the future past the events of Macross F, its prequel. It also ironically aired eight years later. Throughout the galaxy, a strange virus known as the Var Syndrome is slowly taking over the galaxy assisted by the song of the wind. Hayate Immelman has joined the ranks of the Delta Squadron as they rise to the challenge of fighting off those infected by the Var Syndrome assisted by the song of the wind brought about by a prince from the planet Windermere. The Var Syndrome triggers and uncontrollable anger and rage making those infected attack everything around them. In order to soothe these troubled souls, the Delta Squadron is assisted by Walkure, a group of four singing sirens whose music resonates in the hearts and minds of everyone infected. Freyja Wion, also of Windermere, stows away on a shipment of apples to audition for Walkure and become its fifth member. Suddenly while running away from the law, the Var Syndrome, and the mysterious aerial knights, antagonists to the Delta Squadron, attack Al Shahal! Freyja and Hayate run for their lives when Walkure appear to soothe the tortured souls affected by the Var Syndrome! Finding herself singing along, Walkure notices Freyja and with her rune and voice resonating, she is accepted into the group as the fifth member?! This tale of love, action, tragedy and more is about to take off! A fantastic watch so far, let’s take a look at six anime similar to it that you can binge watch while you wait for more episodes! 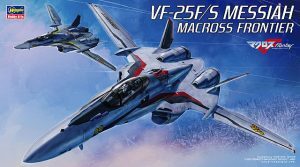 NOTE: Macross Series have been intentionally left out from this list because it is assumed that you, as a fan of Delta, already know that the other Macross series exist and should look into/are looking into them. Earth has been decimated. With nothing left to survive on due to a war between planets, humanity has been forced to expand into the stars and try to find more hospitable locations. Idols, however, are banned. That does not stop a group of young and upcoming idols from bringing back deculture or music! Fighting against the regime that pushed for music as being a source of evil, these girls form AKB0048 and attempt to bring music back to life. Holding concerts on planet after planet, they run from the law in space producing music based on the original AKB48 members in order to bring back music! As shocking as this may seem yes, these two shows share similar elements. 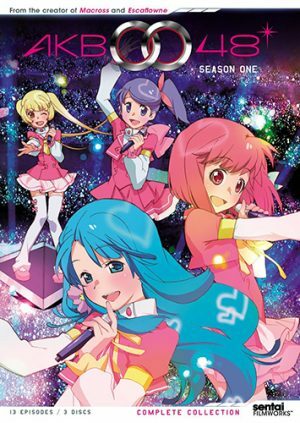 Both Macross Delta and AKB0048 are bother sci-fi, mecha adventures set into space. Take it a step further that both use music as a core theme, and even deeper is that both are surrounded by the concept of idols. 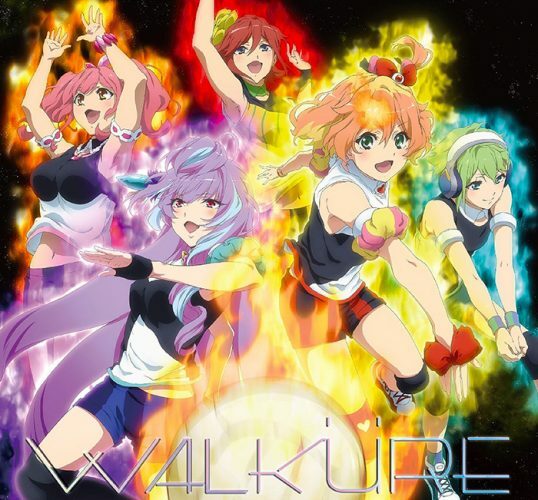 Yes, Walkure are idols. Space travel occurs as well as the theme of the healing power of music. One of the other great similarities is that different planets are showcased as well! Don’t take our word for it, though, check out the trailer below! 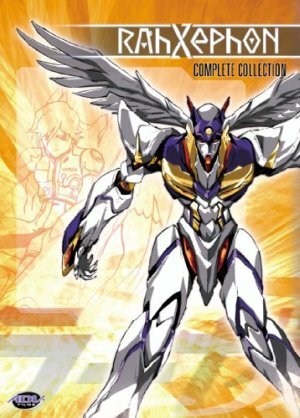 Often maligned as an Evangelion copy, RahXephon is anything but! In 2012, Japan was invaded by the blue-blooded, human appearing alien race, the Mu. Though, three years later in 2015, Tokyo is attacked by a Dolem. Ayato Kamina, the main character meets a mysterious girl who becomes the source of his affection, or obsession, Reika Mishima. Then strangely, in the same day, he meets Haruka, a woman from a rebellion who tells him there is a world outside of Tokyo. While the Dolem is attacking with his MOTHER on top of it, Reika leads Ayato to a room with a giant egg? A Dolem within, hatches. Ayato meets RahXephon, enters into this robotic Dolem and fights back. The aliens must be taken down! This one is more for the action fans. Macross Delta is doing well with the action scenes, but the complaint is that they are a little too sparse. RahXephon can help with that! Music as well here is more about tuning in RahXephon while Delta leans more towards catchy beats and idol choruses. Music regardless, though, is a heavy underlying theme. Of course, too, RahXephon is heavy as well on the mech and fight scenes too. Much like how Delta is as well. 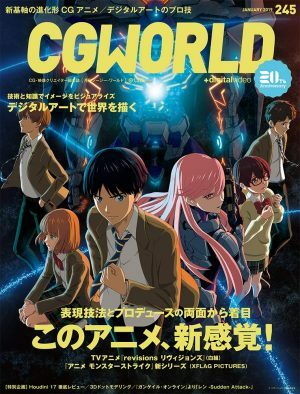 In both series as well, romance and feelings do intrude with some of the main characters and Tokyo/Earth is under duress. Just like Delta and the first entry on this list, in Kakumeiki Valvrave, humanity has finally reached out to the stars and sought to live on them. The combined efforts of the nation's JIOR, Dorssia, and ARUS house approximately half or more of humanity. However… just because they have reached space does not mean that humans have overcome their issues. Haruto Tokishima was a student at Sakimori Academy within ARUS enjoying his student life until one day. Dorssia attacks and is mercilessly in pursuit of machines called the Valvraves that will break the stalemate that these two countries face while at war. Now, Haruto and his classmates must make the ultimate sacrifice; they must give up their humanity to fight against the Dorssian’s with the Valvraves. Joined by a tactician L-elf, they begin to challenge the status quo. 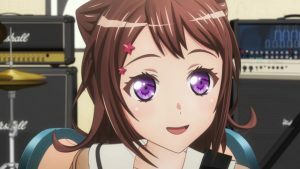 One minor similarity that we must point out right out of the starting gate is that while Macross Delta is about ½ idols, Valvrave has it’s own, yet retired, idol in the form of Saki Rukino. Naturally, both of these shows are jam packed with action and both take place in space and time, post-earth. Once again, the struggle is real here, but the roles are slightly reversed. In Valvrave, Haruto and company struggle against the Dorssians who are invading for help in this war while in Macross Delta, the Delta Platoon and Walkure struggle against Windermere who is fighting back, or rather, rebelling against the rule they have been placed under. However, we cannot say more or it will become spoilers! 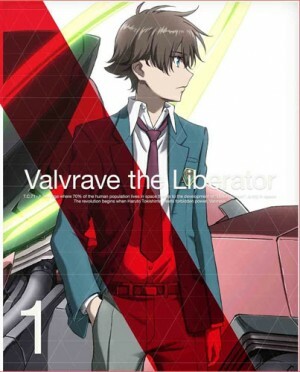 Check out Valvrave below! 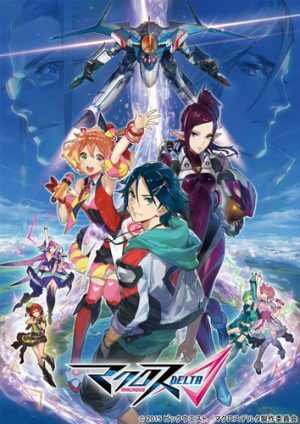 Any Anime Like Macross Delta (Macross Δ)? So many places to begin here as well with similarities. 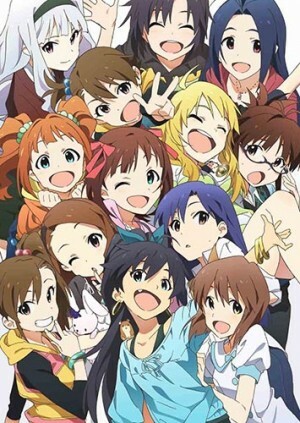 IX and Macross of course again, are centered on themes of fighting and singing idols. Haruka Amami is much like how Freyja is portrayed, clumsy, a bit silly, but lighthearted. Meaning well and sensing a connection with things around themselves, Haruka and Freyja both can feel this connection. With Freyja, it is the Song of the Wind while Haruka has the connection with Imber. We cannot go too into these because we do not want to spoil you! Not to mention finally, these shows have their emotional rollercoaster moments while still touching on the Mecha, Action, and Sci-fi elements. 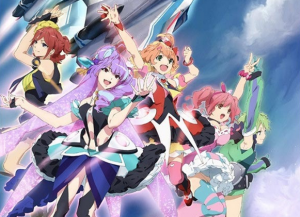 Even if you are not a big idol fan, fans of Macross Delta should not miss out on this one. Now for something a bit less in your face, but yet still good, engaging, and a classic. Full Metal Panic! Follows around Sousuke Sagara who is following around Kaname Chidori. Why do you ask? Well, he’s not a stalker, Sousuke works for a military organization called Mithril. What is Mithril? Well, it is a privatized military organization that has been established to protect “whispered” or individuals who have incredible knowledge and the ability to create locked within them. Mithril protects these individuals from falling into the wrong hands and you guessed it, Kaname is a whispered. 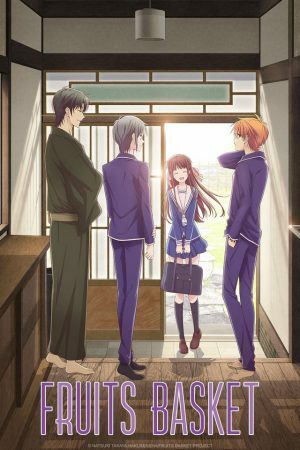 Sousuke, who has never known anything other than the battleground now has to adjust to being in a Japanese high school with a girl who is not crazy about him in her life, to begin with. From A to Z this show is fantastic. 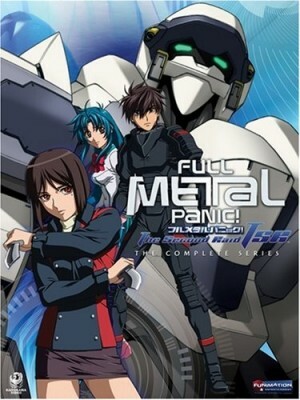 Plenty of action coupled with plenty of comedy makes Full Metal Panic! a great watch. Now in this series we obviously can see themes of mecha and action, but also of Sousuke trying to protect Kaname much like how Hayate is protecting or fighting for Freyja in Macross Delta. Tie that in with the fact that you now have a “rival” in love and suddenly there is Teletha Testarossa in FMP! and Mirage in Macross Delta. Ooh the plot thickens! Combine that with subsequent seasons and an evil force chasing after Kaname and it will only get better! 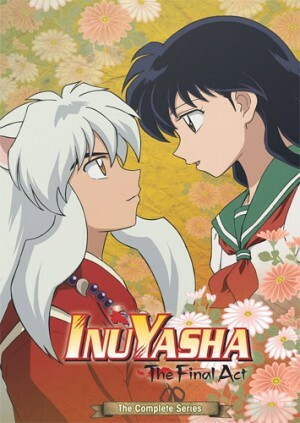 This is the show that never ends~ This is a show for all our friends~ Oh right… Inuyasha. Kagome Higurashi was actually just your average girl who loved to hang out by a cursed will on her family’s temple grounds. The mother and father are where? One day, though, a demon pulls through time for her and pulls her back 500 years in time. She was born in the modern era with a jewel of limitless power called the Shikon Jewel. Well knowing this series, nothing is easy as our new friend Kagome shatters the gem while taking out the demon. She then takes the next brilliant step to enlist half human and half demon InuYasha to help her find the shards so that they do not fall into evil. 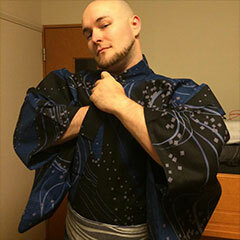 They are joined by the lecherous monk Miroku, an orphaned fox-demon named Shippo, and the Youkai hunter Sango. They now must deal with the rising threat of Naraku, a powerful demon, and more as they attempt to piece together the shard. Ironically, this one is meant to tug at your heartstrings a bit. InuYasha and Macross Delta do share similar action themes. One just takes place with Mechas and fight scenes while in InuYasha, this can take episodes. The real hard line of similarity between these two are the vicious love triangles in these series. Kikyo, a former partner/lover of InuYasha’s detests Kagome and actually tries to remove her on various occasions. We really cannot say more without spoiling you to the moon and back, but the same is true in Macross Delta when it comes to the Freyja-Hayate-Mirage setup. What also makes these both unique is that in love triangles, is that these are not as common as you think. Most shows almost always go cannon or harem with a very obvious female protagonist, but here, you see real competition between Kikyo and Kagome, mostly Kagome just trying to survive, but we digress. We are cheering on Mirage though to see if she will do more! One final warning! InuYasha is a commitment. You will not be able to shotgun it. However, it is well worth it. Macross Delta is truly a gem this year. 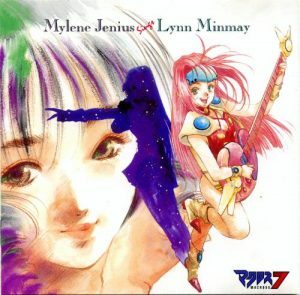 As with all Macross series, it is well done. 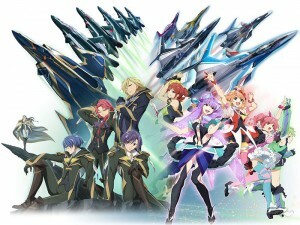 That being said, it is really hard to that that one show is exactly like Macross Delta because Macross is so unique. There are still shows that you can enjoy as long as you go into it with an open mind and not expecting a carbon copy. We hope you enjoyed this list! Be sure to let us know if you recommend a show that is similar to Macross Delta. Till next time! 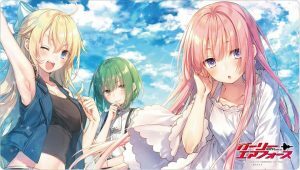 Macross Delta's Vocal Unit Walküre Announces First Album!